Aris Export also offers household appliances, personal accessories, stereo and video equipment that operates on 220 Volt, 50-60 cycle currents. These items are on display in our showroom. The stereo systems, televisions, video recorders and DVD’s are available in multi-standard, 110-220 volt, 50-60 hertz. Therefore, they can be used in the United States as well as overseas. 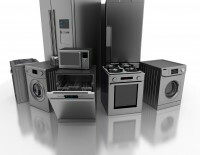 Refrigerators, Washers, Dryers, Ranges, Built-In Ovens, Microwaves, Dishwashers, Vacuum Cleaners, Garbage Disposers, Trash Compactors, Multi System TV’s, Multi System VCR’s, DVD’S, Dual Voltage Stereo Systems, Camcorders and Small appliances, Transformers and foreign Plug Adapters.